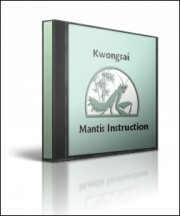 Learn this rare style of combative kungfu from one of School or Branch teachers. The emphasis is on self-defense and combat effectiveness. Learn the basic principles of centering, rooting, developing intent and the essentials of 3 steps, 4 corners, 8 directions, 10 hooking hands, 10 elbow strokes, 18 continuous hand combinations, contact, listening, sticky and controlling hand, dead power, live power, whole body power, offense, defense, counter-attack, pre-arranged forms, 2 man fighting sets, 2 man internal strengthening and more. Anyone of any style interested in learning more about the combat applications of Jook Lum Mantis may host a seminar in their school or area. Minimum participants eight per session and maximum thirty six per session. Seminars may be conducted indoor (requires only a small area) or outdoors weather permitted. Seminars may be scheduled in your school or location at a mutually convenient time and subject to current schedule. Minimum 49 days notice. Each session three hours (usually runs long). Sorry! No video cameras please. Southern Praying Mantis can only be mastered by two man training. It is recommended that each individual attend with a partner. Individuals attending the seminar $108. With partner, each person $88. Cost negotiable based on total participants. 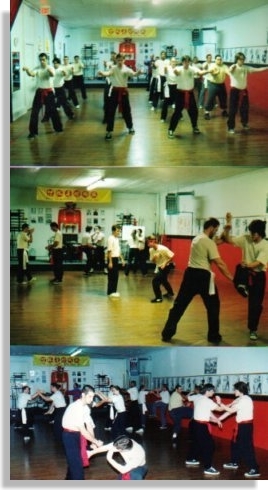 Although, no experience is necessary to learn basic self-defense, any martial artist of any style may benefit from the philosophy, principles, and training of the Bamboo Temple. Due to the efficiency of motion, only 1,500 square feet is necessary for thirty six participants. Southern Praying Mantis was brought to the United States from China around 1947 by the Late Lam Sang Sifu who settled in NYC. At his death in 1991, he had taught commercially hundreds of students at the Chinese Merchant Associations in Chinatown, although, he accepted no non-Chinese students and only a few live-in disciples. Master Gin Foon Mark is one such disciple and is credited with bringing the Southern Praying Mantis style out to the public and to the non-Chinese. Sifu Louie Jack Man has continually taught privately for nearly 40 years to both Chinese and non Chinese. And many of the senior disciples of the Late Lam Sang , including Sibok Wong Baklim and Jesse Eng have remained active but silent in the NYC Chinatown area. We believe the source of strength in the family tree is in it's roots! The Bamboo Temple principle is truth in training, effectiveness in skill. Money is secondary. If interested in hosting a seminar, contact any of Schools or Branches - click here. Copyright © 1963-2018, Bamboo Temple Chinese Benevolent Association. All Rights Reserved Worldwide.